With school students around Australia just settling into the second half of this year, a growing number of busy parents needing to juggle their schedules with children’s school transport arrangements will have greater peace of mind and convenience. The launch of RollCall means parents can finally relax about children travelling on school buses. Every year there are too many children, parents, teachers, and bus drivers caused unnecessary stress when children happen to board the wrong school bus, fail to board a school bus, alight at the wrong stop, or become affected by bus detours or delays. The potentially frightening reality is that before RollCall, if a child appeared to have gone ‘missing’ at any point associated with a school bus journey, the people concerned could only rely on witness reports and any manual recordkeeping as to where and when the child was last seen boarding or alighting from a school bus. Given the lack of clarity and visibility, police could be called in very early. Game-changing Australian software company RollCall Safety Solutions now offers the failsafe system for schools, bus companies, and parents to ensure children travel safely and as expected on school buses, eliminating anxiety for everyone concerned and maximising the efficiency of school-related bus transport for children. RollCall is a world-first development that is unique in Australia and already in the process of being made available worldwide. Utilising Near Field Communication (NFC) technology, combined with device/bus-tracking and ‘smart-tags’, parents can watch their child’s journey on a school bus in real-time on a map, using the RollCall app, and receive alerts about any deviations in the expected trip even when they’re not watching the app. As a further safety-net for children and parents, the school and the bus company also receive real-time alerts about any discrepancy between the journey that has been scheduled for the various students and school buses, and actual movements that are taking place. 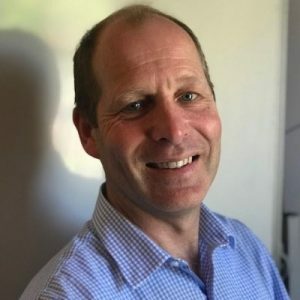 In an education environment that is constantly under budgetary pressure both internally and externally, the RollCall model has been formulated to ensure that introduction is an affordable investment that runs smoothly. Using the system is also very fast and easy for students, teachers, and bus drivers. Parents access the app securely on their own mobile devices. Schools and bus companies manage schedules and routes using a simple dashboard portal. 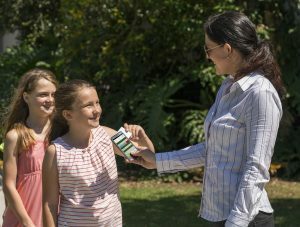 RollCall is already being used by many Australian schools and bus companies as the student transport monitoring solution that modern parents – used to having an app for almost everything – have come to expect and demand. Early adopters of the solution include the Hume Anglican Grammar School, Braemar College, and Coach Australia Group.